There’s no shortage of ways to accept credit cards online these days, though not all payment processing services offer the same high levels of security, value and streamlined efficiency. At CMS Max, we learned early the importance of choosing a credit card processing service that truly stands behind their promises. We’ve partnered with Heartland Secure, one of the world’s most trusted and well-established names in online payment processing. For online retailers, we make it effortless to accept credit card payments on your website, and can set you up to accept payments online. If you’re a retailer, we offer innovative solutions and terminals to make in-store purchases fast, easy and affordable. Work with a direct Credit Card Payment Solutions Provider and Eliminate Layers of fees! When it’s your bottom line at stake, you simply can’t trust something as significant as your online payment processing to a company who may not have your best interests at heart. 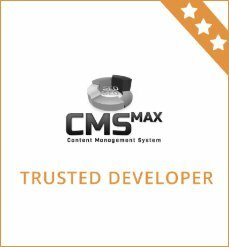 At CMS Max, we know and trust the Heartland Secure system, and can have you set up in just minutes after discussing your needs, sales model and preferred payment methods. To learn more about why CMS Max is the smart choice for online businesses and thriving retailers who want to accept online payments, get in touch by calling 585-880-1793.